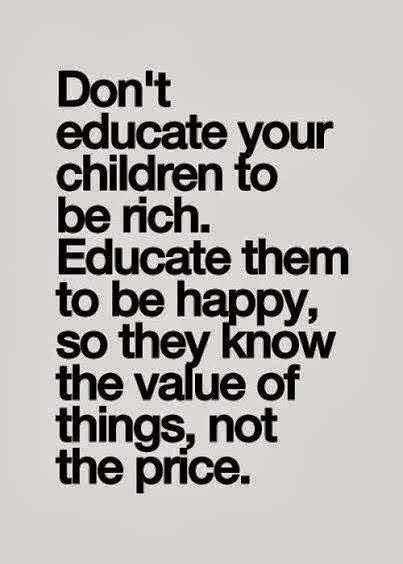 The value of a happy life educated by happy parents the price is the value only understood or valued by the children.. Happy to have the value of rich loving parents happy to be enriched with a life of happiness..
Parents love the rich value of the most precious things in a loving caring nurturing Family, costing nothing but Love an the most valued precious dimomand in life,vauled more than any price,, of a Life worth living.. Children now rich, educate the values and morals, principles to a happy loving life valued by the price of any precious life worth the riches more than gold itself not worth a happy respectable, loving Family…. Thank you! I like very much reading you!